Wine gifting isn’t just for the holidays – it’s for Mondays, Wednesdays, birthdays, graduations, retirements, new cars…you get it! While there’s no Wine Gift Giving bible (just yet), our experience in the industry has offered up some pretty helpful gifting lessons. We sat down with our Resident Wine Educator Larissa to answer some of your most-pressing questions. Q: What are some Wines that you consider “safe” to gift? A: The safest wine to gift is one that you know the recipient already likes/loves. However, if you don’t know, there are several that have proven to be crowd-pleasers. Wines that are Fruit Forward in nature, are usually a safe bet, as they are more approachable on the palate. While you’re at it, let Wine be your passport, and take the recipient to a part of world they may not be familiar with through wine! Check out the quick list below (there are many, many more to choose from) and feel free to leave a blog comment with some wines you’ve found to be pretty popular with your family and friends. Bubbly Bliss: When all else fails, Sparkling Wines are the BEST option. Be the one to help get the party started with bubbles – the universal celebratory beverage! Baller on a Budget: Cremant, Cava (Sparkling Wines from France & Spain respectively, made in the same methods Champagne is made, but much more cost-effective). ***For those with a sweeter palate, look for a Demi-Sec. Demi-Sec is a sweeter style of Sparkling Wines…and it sounds super fancy! Riesling (Baller levels vary): You can’t go wrong with one from Germany where Riesling is king. Chablis (Baller levels vary): Send your recipient to the Burgundy Region of France with this wine! These Chardonnay’s traditionally have low or no oak treatment. Bright acidity and balanced minerality allow the citrus fruit and floral notes to shine. Albariño (Baller on a Budget): Are you gifting a seafood lover? Consider this light refreshing citrus driven wine from the Rias Baixas Region of Spain. It’s perfect with Seafood! Napa Valley Cabernet (Baller-ish): Napa Valley is a world-renowned Wine region. While there are several varietals that thrive there, Cabernet Sauvignon reigns. Even the novice wine drinker will recognize Napa Valley on the label, and feel like you spent some nice coin. But the gag is, you can find a really nice Napa Valley Cab for $25-$30! ha. Meritage Blend (Baller levels vary): These Bold Red Blends are produced from at least two traditional Noble Bordeaux varietals (the 5 most notable being Cabernet Sauvignon, Cabernet Franc, Merlot, Petit Verdot, and Malbec). Wineries must be a part of the Meritage Alliance to use the term Meritage (pronounced Heritage with an M). Pinot Noir (Baller levels vary): Particularly a Red Burgundy (Bourgogne) from France or Oregon. Q: How much should you spend on a holiday wine gift? A: The holidays can be very taxing and not so nice to our wallets—believe me I know. As far as gifting wines for the holidays, I suggest gifting a moderately priced bottle between $25-$70. The caveat is that you can find a solid wine for approximately $15, contingent on where you get it from (hint: a smaller local wine shop), no one will necessarily know how much you spent. Now, once you start gifting for bosses, birthdays, and life celebrations I advise springing a little more. Seal your gift with a festive wine box or even a small food pairing, which will help stretch your dollar and make your gift that much more fancy. One very important thing to keep in mind is shipping across state lines, the Wine geniuses at Wine Spectator put together this extensive list of states where consumers can have wine shipped directly to their homes. Q: Are Wine Clubs good gift ideas? A: So, I’m a firm believer that anything dealing with “Wine” is always a good idea. But in all seriousness, I really enjoy the freedom and options that these clubs offer – you can choose the frequency and how many bottles you want to get. Many clubs also have very convenient gift card options on their website that I definitely suggest checking out. Q: What wine clubs would you recommend this holiday season? A: First, let me compliment your gift-giving style. Yesss! 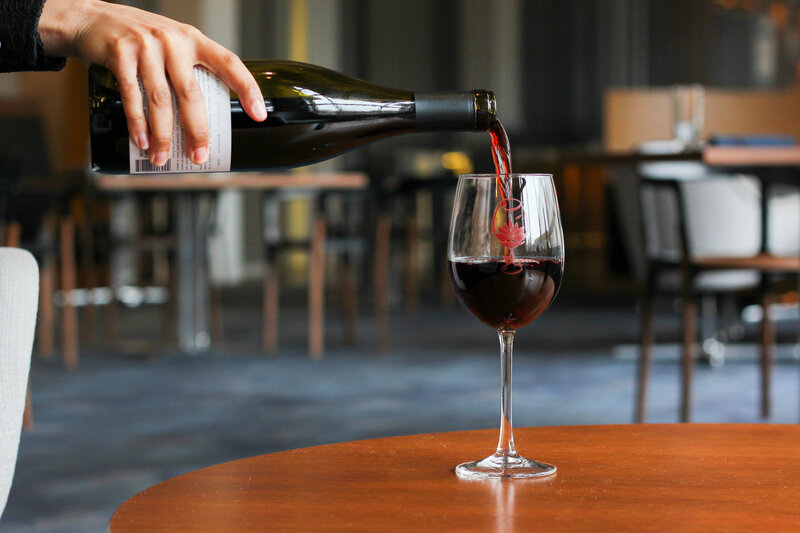 Wine clubs are definitely a growing favorite amongst wine lovers – both new and seasoned. I’m currently a member of a couple different wine clubs at my local wine shops, and I am also a member of FatCork. I’m a bubbly lover and really lucked up when I stumbled upon this wine club. FatCork focuses on grower champagnes. The interesting thing about grower champagnes is that while they still come from the Champagne Region they are made in smaller houses and/or by local growers. This novelty provides you with a really cool more authentic expression of champagne and it’s also going to be much more cost effective. I’ve also heard some pretty awesome reviews for Winc Wine Club. Formerly known as the “W,” this club caters to your taste profile and you can choose wines that will work best for your recipient. Q: How can I make gifting a Wine Club membership more personal? A: Do some research for local wine shops in their community. This not only will get them out and about, it will also surround them with wine novices and even new Wine friends. You can also ask them their favorite brand or specific winery and from there set up a month of deliveries.